As the summer movie season has officially come to a close after the release of Mission: Impossible: Rogue Nation, it’s that time once again to give you fine folks out there a list of my top ten movies of 2015, so far. Going over my list, it seems I have seen 49 new movies so far, and once again, this also includes older movies I have seen for the first time. And as I prepare my list, the easiest cut, is getting rid of the older movies, and then the real fun begins. And so, I bring to you My Top 10 Movies Of 2015 (So Far). Back in July, a sizzle reel for Star Wars: The Force Awakens was shown at San Diego Comic-Con, and in the video, someone unexpected showed up — Mr. Simon Pegg. While Pegg has made a name for himself with Edgar Wright’s “The Three Flavours Cornetto Trilogy (Shaun of the Dead, Hot Fuzz, The World’s End), the actor has also been a part of major film franchises like Star Trek, Mission: Impossible, and Chronicles of Narnia. But, if you know Pegg, then you know he’s a total Star Wars fanatic (check out his book Nerd Do Well). We don’t know yet what his role in the new Star Wars film will be, but one thing’s for sure, if there’s an actor out there who deserves to have a part in the Star Wars saga, it’s Simon Pegg. 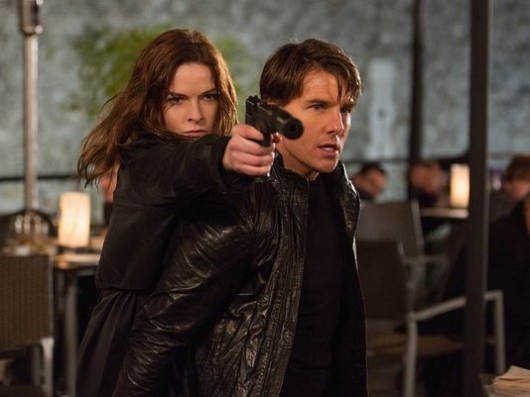 With that, while Pegg was making the press rounds for his latest film, the Tom Cruise actioner Mission: Impossible – Rogue Nation, MTV asked him to rank all six existing Star Wars films from worst to best in under a minute. Check out that video here below. As is the new normal over at Screen Junkies, they take their Honest Trailer from the upcoming movies of the week. 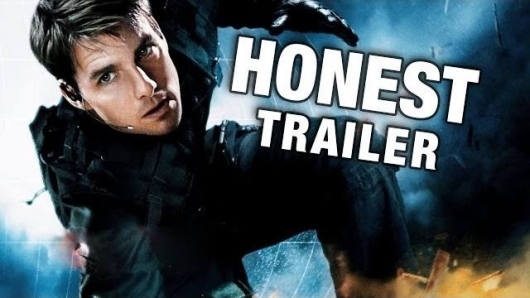 So as Tom Cruise looks to hit the restart button on another one – Mission: Impossible Rogue Nation, it’s time for an Honest Trailer so big… it covers the first four movies of the series! Mission: Possible. Yeah sorry, that was an obvious one. 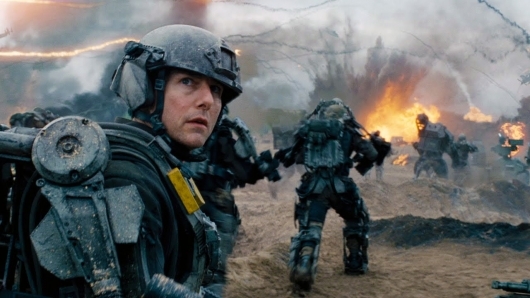 There’s no denying that Tom Cruise is one of the biggest movies stars ever to walk this little planet we all call home. But what separates him from most other big stars out there is his willingness to take on many of the unbelievable stunts required of the role that he’s playing all by himself. 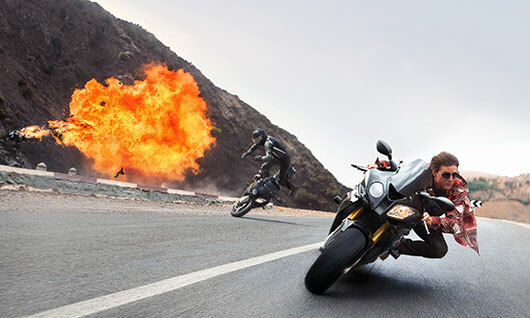 Many of these wild and crazy stunts have been done in his time playing Ethan Hunt in the Mission: Impossible movie franchise. 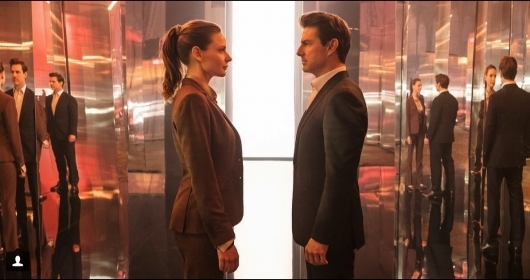 We saw the biggest of them in 2011’s Mission: Impossible – Ghost Protocol, in which Cruise actually dangled off the side of the tallest building in the world, the Burj Khalifa in Dubai. It was the biggest he’s ever performed, that is. But not anymore. 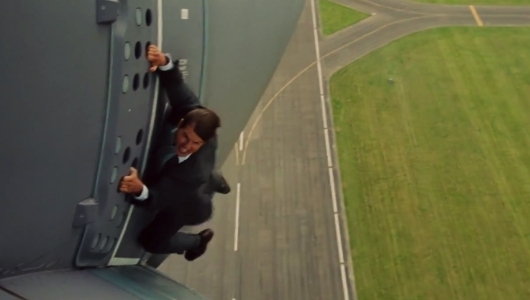 When Mission: Impossible – Rogue Nation is released on July 31st, that stunt will be surpassed in a big way when moviegoers watch Cruise hanging from the side of a freakin’ airplane as it takes off. 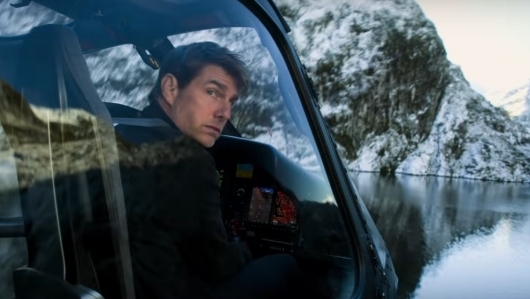 We’ve seen a preview of the stunt in trailers for the movie, and now a new video has been released offering a behind the scenes peek at Cruise being strapped to the side of the plane and hanging on for dear life as it takes off. You can check it out below.